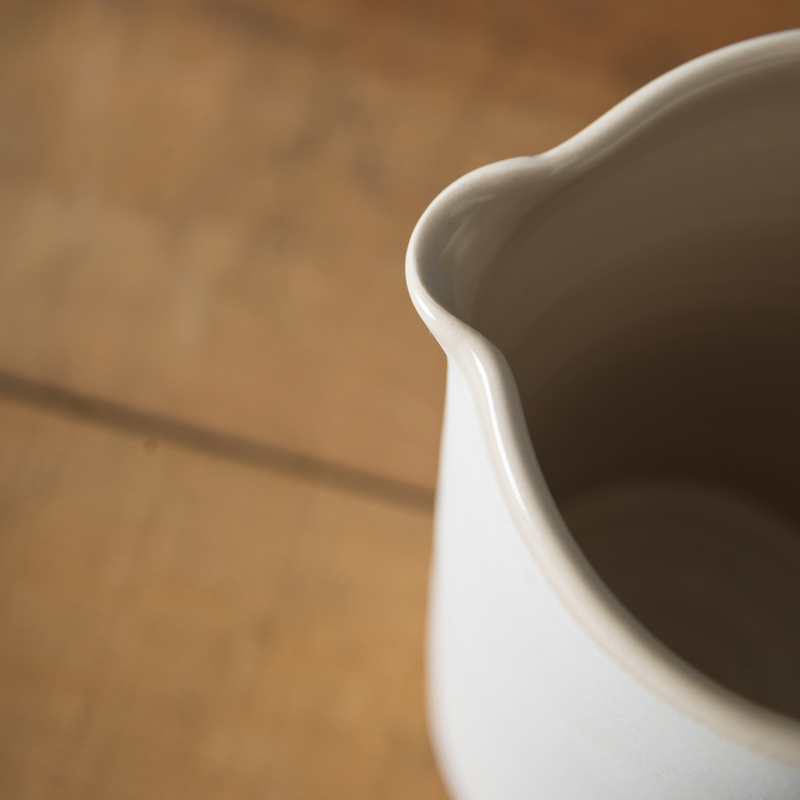 We love the elegant and timeless shape of this jug for fruit juice at the breakfast table or lashings of gravy with our Sunday roast. 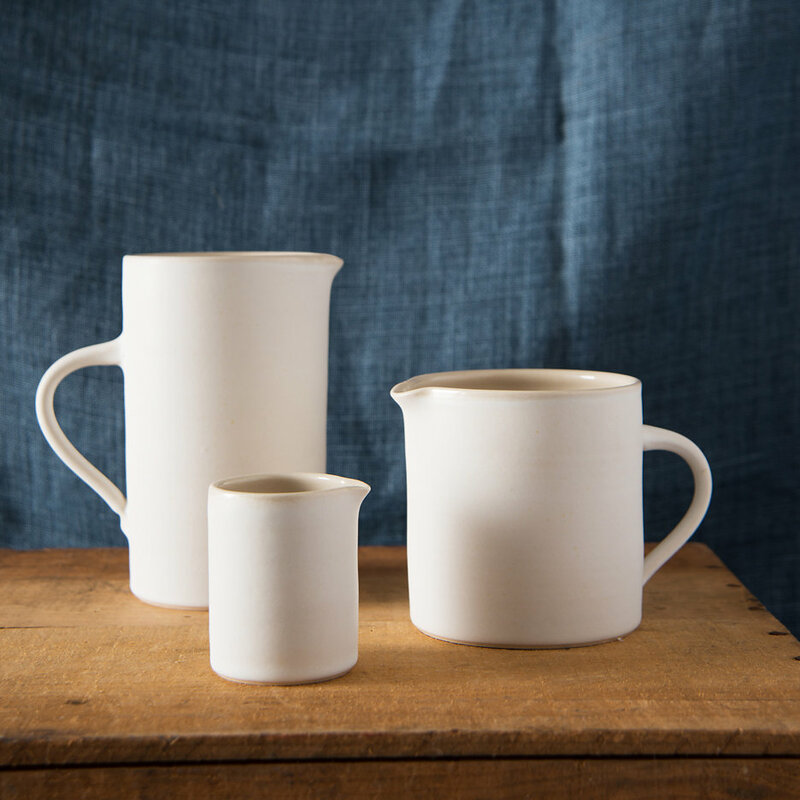 In soft white it is a simple and classic addition to any table, whether it is a rustic country farmhouse or a minimalist modern penthouse. 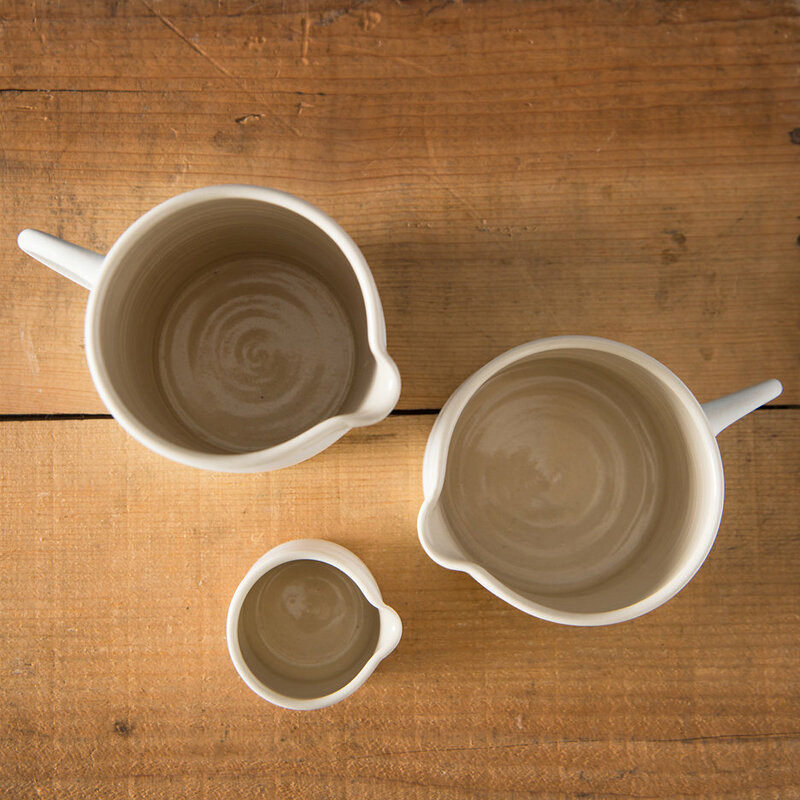 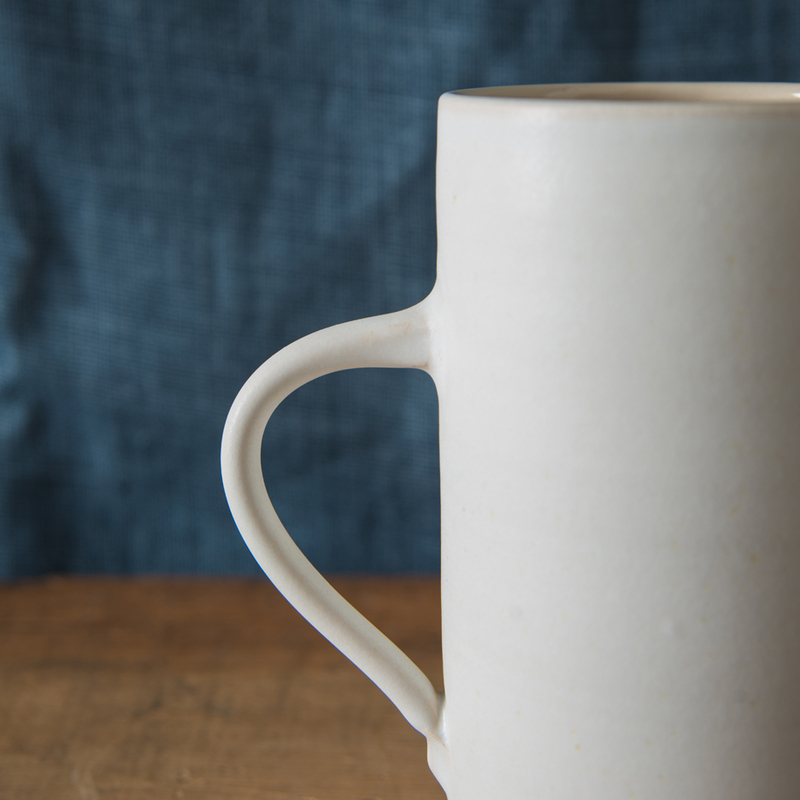 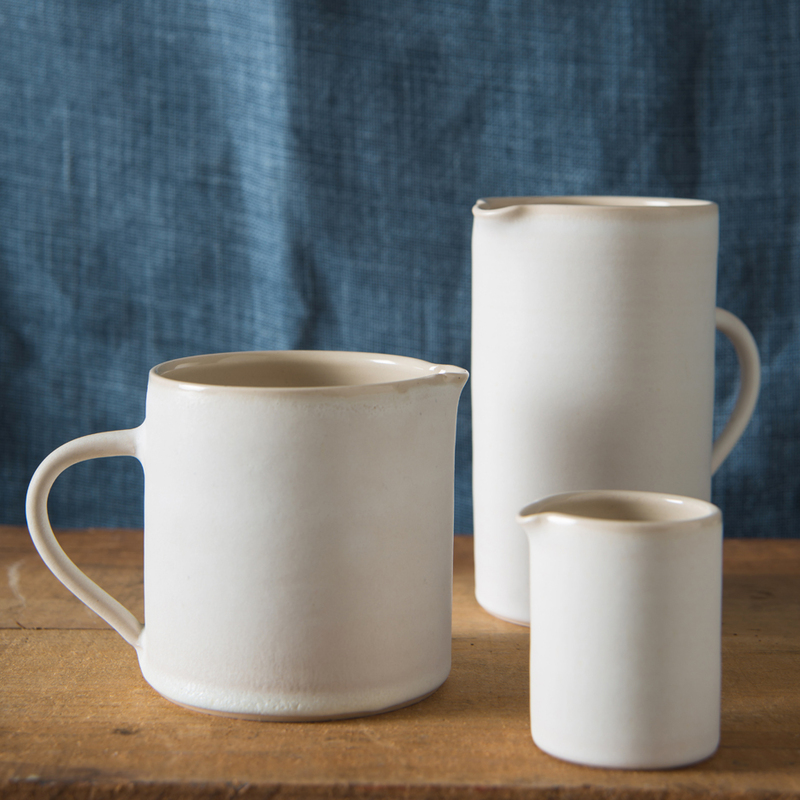 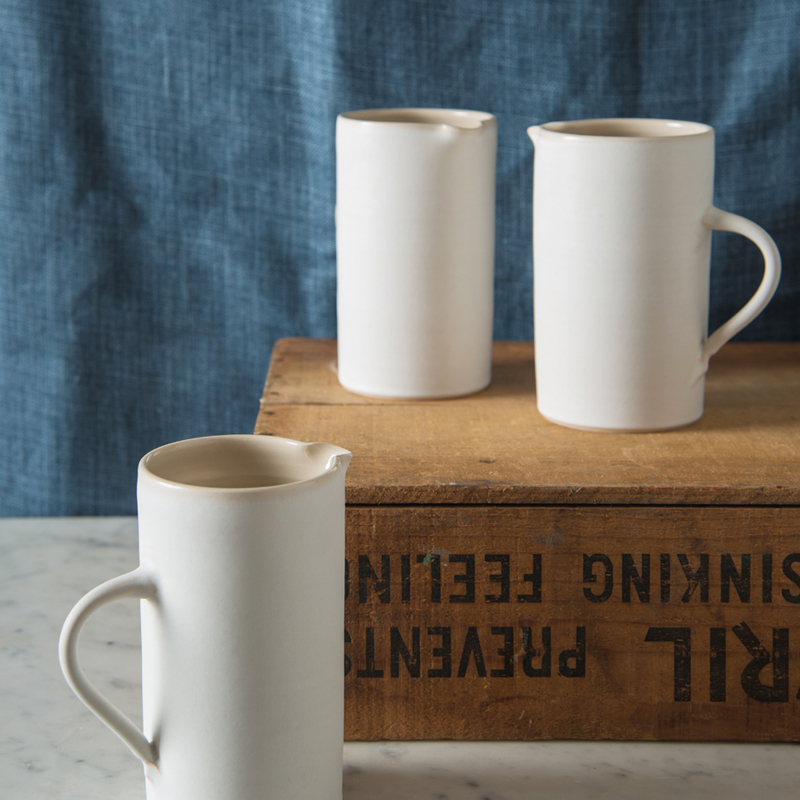 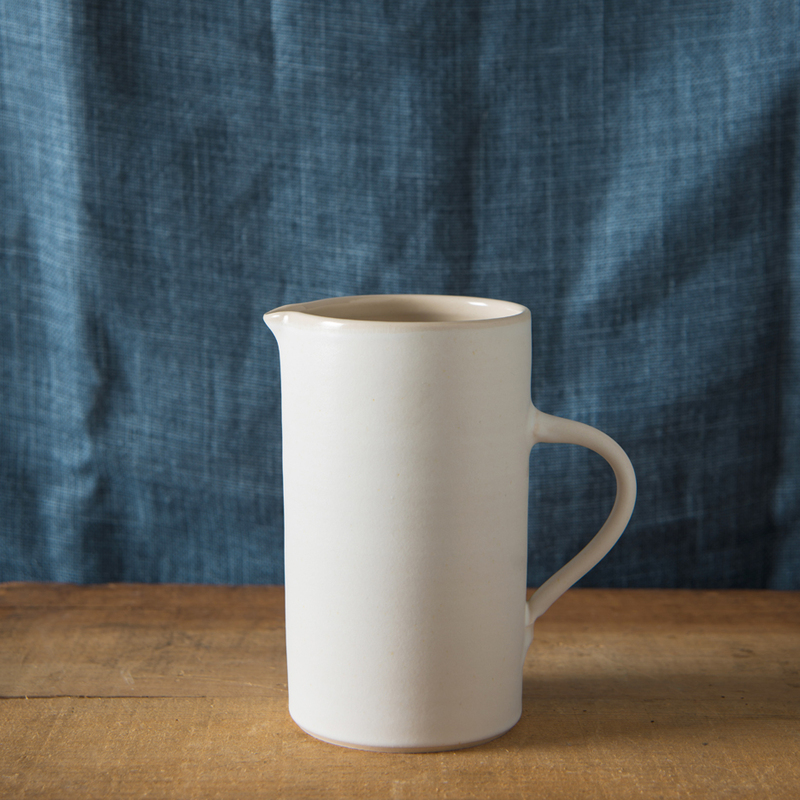 A fabulous hand thrown stoneware and porcelain tall jug made in South West France.